Element 115 : Moscovium is a superheavy synthetic element with symbol Mc and atomic number 115. Research scientists at the Joint Institute for Nuclear Research in Dubna, Russia and the Lawrence Livermore National Laboratory (LLNL), California first made element 115, moscovium, in Dubna, Russia in 2003. The work was a collaboration between science teams led by Yuri Oganessian and Ken Moody. 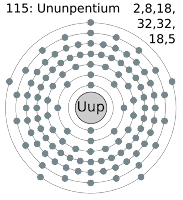 Four atoms of element 115 (moscovium) were produced, which alpha decayed producing element 113, (nihonium). These elements occur naturally in other star systems . 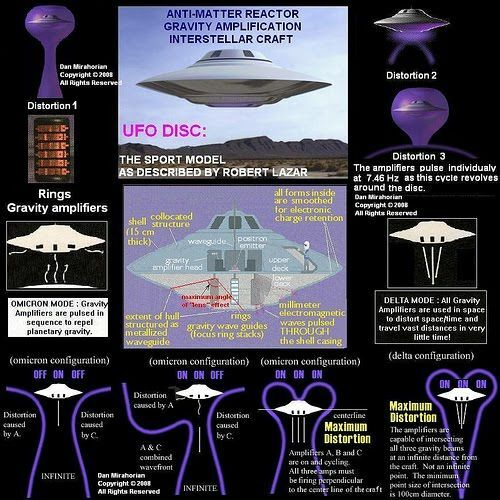 These are used by extraterrestrial beings to power there crafts , and travel large distance in space in short span of time . There are two gravity waves . Gravity A waves : Sub-atomic particles . Gravity B waves : Large scale particles . Element 115 is the source of gravity A wave and target that is bombarded with the protons to release anti-matter . 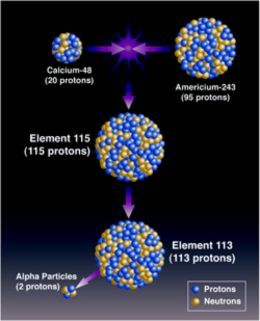 Proton is bombarded with the nucleolus of atom of element 115 which increases its atomic no. and becomes an atom of element 116 . Element 116 decays into anti-matter( it is the exact counterpart of matter with the charge and spin opposite to the matter ) . Matter and anti-matter combine to produce energy (an explosion) , its 100% energy conversion . Heat energy produced by the matter and anti-matter is converted to electrical energy by thermoelectrical converter nearly 100% efficient . Element 115 is the fuel for the crafts making it compact , light weight , efficient , onboard power source . Time taken to travel from one point to another in space can be significantly reduced by distorting the space-time fabric . Here the distortions can be caused by the gravitational field . Element 115 produces gravity A waves which is phase shift with the gravity B wave which propagates outward from the earth and this creates lift . Alien crafts uses element 115 to produce gravitational field , so it travels a large distance in short span of time . 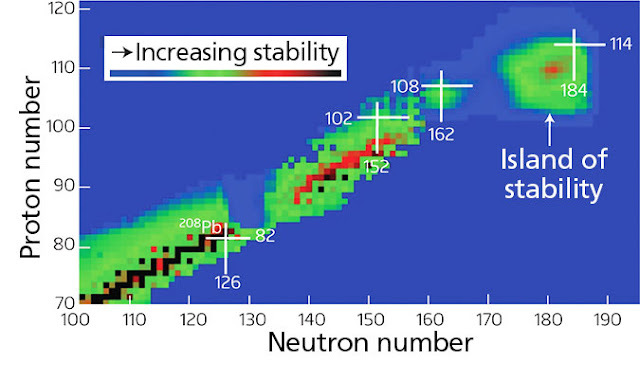 In nuclear physics, the island of stability is the prediction that a set of heavy isotopes with a near magic number of protons and neutrons will temporarily reverse the trend of decreasing stability in elements heavier than uranium. 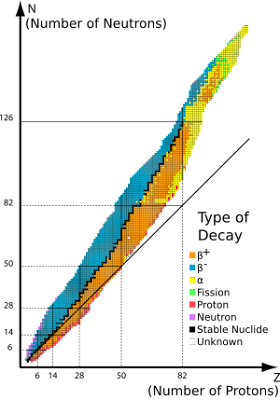 Estimates about the amount of stability on the island are usually around a half-life of minutes or days, with some optimistic predictions expecting half-lives of millions of years. Moscovium is expected to be in the middle of an island of stability centered on copernicium (element 112) and flerovium (element 114): the reasons for the presence of this island, however, are still not well understood.Due to the expected high fission barriers, any nucleus within this island of stability exclusively decays by alpha decay and perhaps some electron capture and beta decay.Although the known isotopes of moscovium do not actually have enough neutrons to be on the island of stability, they can be seen to approach the island as in general, the heavier isotopes are the longer-lived ones.